Manufacturer Asus MSI Computer Cor. As the table implies, both motherboards are based on Intel Z370 chipset, which offers Intel LGA 1151 socket. It supports all Intel 8th gen processors including Intel Core i3, i5, i7, Intel Pentium and Intel Celeron. It makes this motherboard suitable for all types of users. No matters if you require a home computer or high-end gaming rig, this motherboard can be your thing if you have a decent budget. You can use Celeron, Pentium or i3 for entry-level PCs for general computing, video edition (paired with decent GPU) and i5 or i7 for the high-end gaming rig. Both motherboards come with single CPU slot and four DIMM slots supporting 288-pin RAM sticks. However, Asus Prime Z370A offers three PCIe 3.0 x16-slots. Two of them support x8 and x16 modes, and the other one supports x4 mode only. Moreover, it comes with four PCIe 3.0 x1-slots. 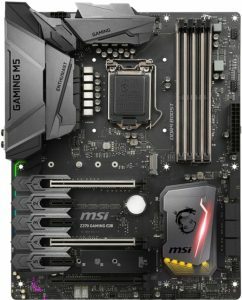 On other hand, MSI Z370 Gaming Pro Carbon offers 3x PCIe 3.0 x16-slots. Moreover, it offers only three PCIe 3.0 x1-slots, where Asus offers four. For storage interface, both Asus and MSI offer six Serial ATA-600 ports. 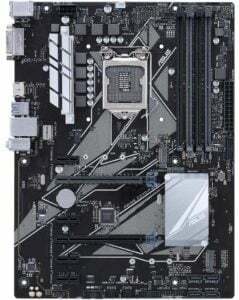 However, Asus Z370A offers single M.2 connector whereas the MSI Z370 Gaming Pro Carbon provides dual M.2 connectors with RAID 0 / RAID 1 support. The number of USB ports is the same. However, Asus delivers an extra thunderbolt and serial headers port. 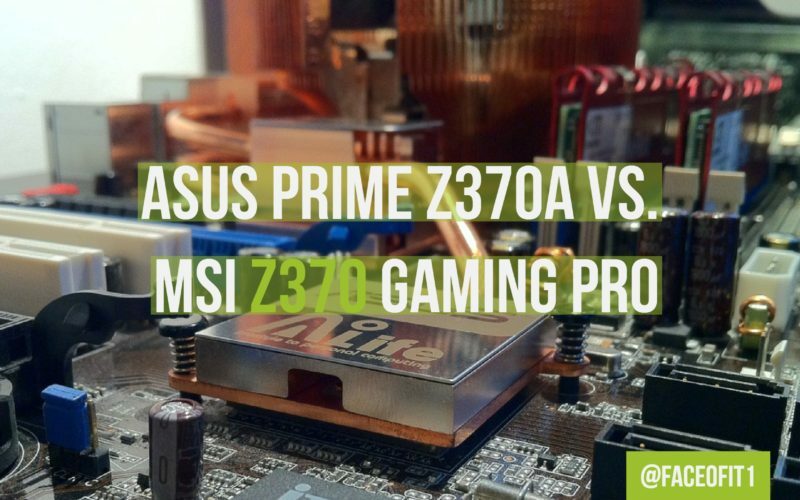 As you can see, ASUS offers a lot more BIOS features compared to what MSI Z370 Gaming carbon pro has to offer. These features significantly affect when you want to overclock your PC. Moreover, Asus is more regular when it comes to providing BIOS updates. Both motherboards come with their own set of software, which come handy when setting up your rig. 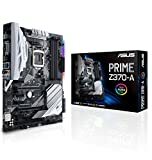 Asus Prime Z370A ships with 1x SLI Bridge cable and 3 Serial ATA cables, where MSI Z370 Gaming Pro Carbon ships with single SLI bridge cable and single Serial ATA cable. Both weigh almost same, and their dimension is same as well. We hope this post helps you to understand how these two motherboard differs so that you can choose the right product according to your requirements. If you have any query or suggestions, feel free to use the comment box below. Thank You, see you until next post!